Lot 43. Azalea. HOME UNDER CONSTRUCTION. Photos from previous models. Room sizes estimated. 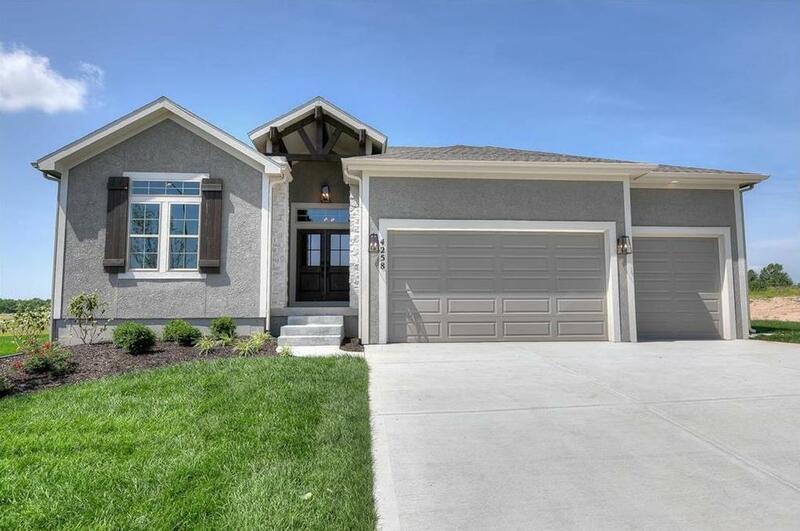 You will not be disappointed in the high end finishes of this home. Upgrades to the upgrades!! Main floor includes built-ins in office/bedroom & family room, floor to ceiling stone fireplace, 12x17 covered deck. In lower level, you will find large bedrooms and a giant rec room. Acclaimed Basehor-Linwood School District. Ten minutes to Legends and less than 30 to the airport! A new lifestyle awaits- check it out!! 4258 Lakeview Terrace (MLS #2103316) is a traditional single family home located in Basehor, KS. This single family home is 2,986 sqft with 4 bedrooms and 3 baths. This property was listed on 04/27/2018 and has been priced for sale at $460,508. Nearby zip codes are 66012, 66048, 66086, 66109 and 66227. This property neighbors other cities such as Bonner Springs, Kansas City, Leavenworth, Lenexa and Tonganoxie. Listing Last updated 04/22/2019 5:45 PM CDT . Some properties which appear for sale on this web site may subsequently have sold or may no longer be available. Walk Score provided by Walk Score. Mapping data provided by Google and Bing.